Resource Conservation District (RCD) of Santa Cruz County Board President Jim McKenna and the rest of the RCD family are extremely saddened by the passing of former RCD Executive Director Karen Christensen on January 21 after living with cancer for over four years. With that foundation, Karen built the RCD into a model organization that increased the pace and effectiveness of conservation and stewardship through many innovative programs. In 2003, Karen helped establish an unprecedented partnership among government agencies, environmental groups and local landowners, raising more than $17 million in state, federal and private grant to help implement more than 150 habitat restoration projects. 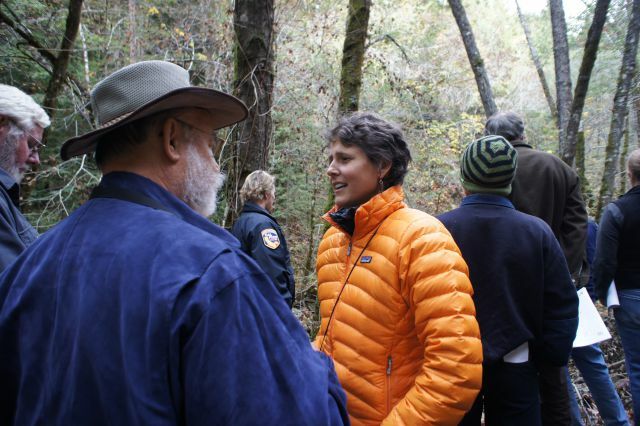 This work is not just having an impact in Santa Cruz County – her work served as a model for restoration statewide. Karen also recognized the value of nature, for its own sake and for the suite of services and products it provides, which led to a first-of-its-kind assessment of ecosystem service values for Santa Cruz County. In another influential project, Karen worked with Driscoll’s Strawberry Associates to address groundwater depletion in the Pajaro Valley, resulting in a grower-based strategy to reduce water use and promote groundwater recharge projects. Always innovative and passionate, Karen’s efforts were emblematic of an approach rooted in stewardship on private lands including rural residences, farms and timberlands. She was a tireless advocate for this approach and for RCDs as effective tools for reaching our conservation goals. Beyond her incredible professional accomplishments, Karen was a generous, kind and dedicated friend and a fighter until the end, we along with countless others, will deeply miss her. Services will be Saturday, March 19 at 1 p.m. at Peace United Church, 900 High Street, Santa Cruz. 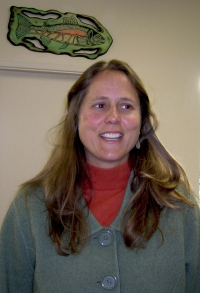 In lieu of flowers, Karen preferred contributions in her name to the Internship Program at Resource Conservation District, 820 Bay Ave., Suite 136, Capitola, CA 95010 or a charity of choice .